Know how you're going to rate your Uber driver halfway to your destination? Uber is now giving riders the ability to rate their rides mid-trip, because you're busy, apparently, and the ride-hailing service doesn't want to "miss an opportunity to listen and improve." Specifically, riders are now able to rate, compliment, tip and share feedback on their ride while it's still in progress. 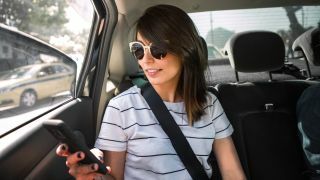 Uber plans to take feedback on what "needs improvement" from these mid-trip ratings to further analyze its service and find hidden technical issues that need resolving in addition to identifying the good stuff its drivers do. The new feature is part of a broader push by Uber to improve the experience for both riders and drivers. Uber promises even more new products and policies are on the way to do just that in the coming weeks. Stay tuned. Does car tech rev your engine? Then check out our ongoing On The Road series!